Nothing Up My Sleeve – Presto!! Wait! Please do pay attention. 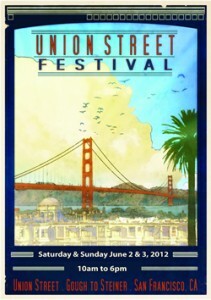 This next Sunday June 3rd, I’ll be onstage at the Union Street Festival with Suzanne Griffin of Cooking By The Bay fame. You will find us at the corner of Gough and Union at 1p.m. Suzanne will be demostrating her Asparagus Farotto, Shaved Vegetable Salad and the indescribably delicious Chocolate Chia Pudding infused with Oranges. Oooo, it’s soooo gooood! Suzanne and I have recently been comparing recipes and cooking techniques, and she kindly invited me to be her assistant for the day. Please drop by, sit for our demo and do come up have a taste and say hello afterwards. We would love to hear your comments. Eat Well and Smile Often! p.s. Pay no attention to the man in the chef’s coat It’s all her show on Sunday! This entry was posted in Chocolate, Woo Hoo and tagged chocolate, cooking demonstration, farro, Just Yum, Techniques, Tom Judt, union street fair by TJ. Bookmark the permalink. any excuse to boss you around a little! thanks for your excellent review. 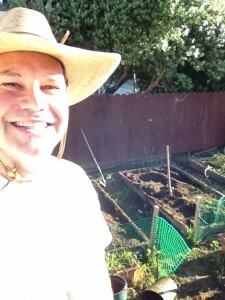 There Will Be Growth In The Spring! !